Trailers are necessary for a wide number of trades, in addition to being a useful tool to have as a means to transport personal belongings when necessary. Because of the frequent use of trailers and the kinds of goods that need to be moved (which can potentially be very heavy or awkward), trailers inevitably suffer general wear and tear that needs to be amended. It is important to stay aware of your trailer to ensure that nothing negative occurs due to this wear and tear. 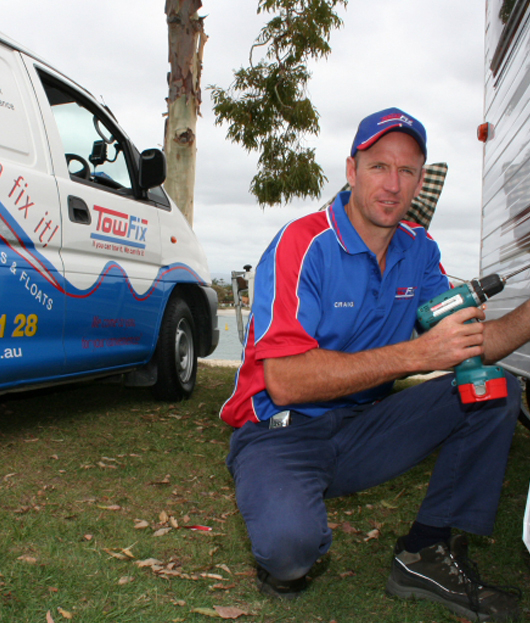 If there are aspects of your trailer that need repair, Towfix are here for you. We have the expertise necessary to ensure that your trailer will be repaired with a keen eye for detail, and we make sure to only use the best parts possible in these repairs. This goes a long way to make sure that your trailer doesn’t suffer similar problems for a long while. Trailers are made from quite a few smaller parts, which are all necessary for perfect function. Towfix are well versed in repairs of all aspects of trailers, including general maintenance and repairs, axle repairs, brake repairs, light repairs, rust damage, suspension repairs, and much more. If your trailer has not been performing as it should and you don’t quite know what might be wrong, bring it to us and we’ll be sure to find and fix the problem for you. If your trailer is in need of a repair, don’t fret. There’s no need for you to bring it to us – Towfix can come to you for the job! We service Sydney and the Gold Coast so if you’re residing near these areas, don’t hesitate to get in touch. We also provide repair services for regular and mobile caravans. You can contact us by using our online enquiry form to send us a message, or you can ring our phone number on 1800 15 21 28 to speak directly to one of our friendly staff. Don’t let your broken trailer be a burden any longer, contact Towfix!